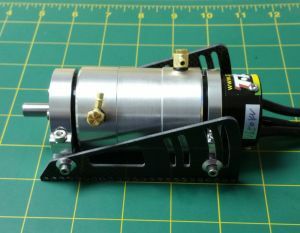 40mm Quick Change Mount, designed by Anthony Vaccaro. Once the coupler is loosened, the motor can be removed in less than a minute. 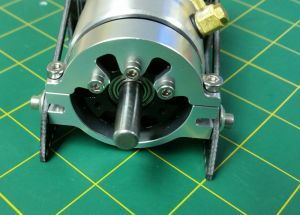 Normally racers would have to remove the front screws which could take a few minutes and more importantly, once a motor is removed in a conventional mount, the motor angle has to be realigned. 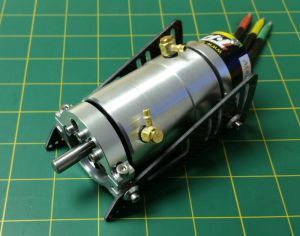 With only 4 screws the motor is removed, while maintaining the motor angle. Also features clear access to the front motor vents to allow maximum cooling. See video for a quick change. 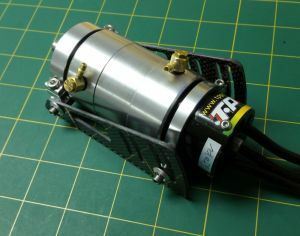 Motors with 6 Bolt front motor plates, Tested to work with Tp or Neu 6 Bolt Front plate 40mm Motors. You to provide motor mounting screws.